2. In the search results below click "Write a review"
3. If you already have a Google account, you can add your review. If you use Gmail, Google Docs, YouTube or GooglePlus, login using the same information. 4. 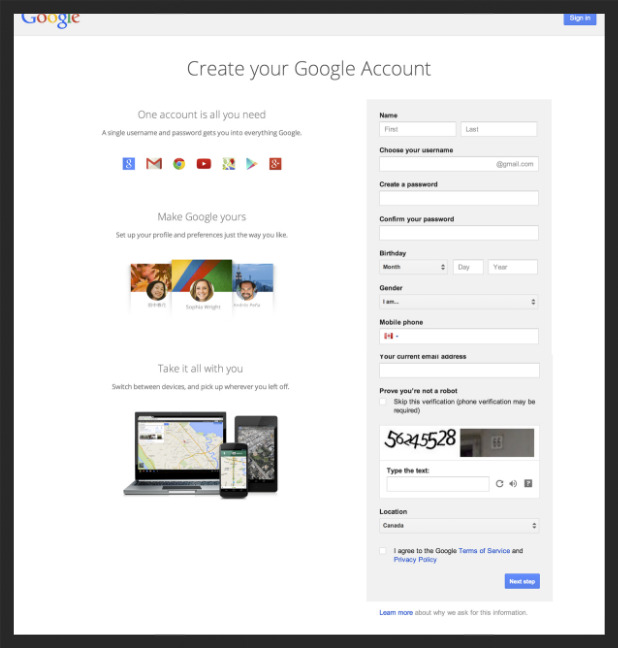 If you don't have a Google account, click "Create an account". 5. Fill out the account details and create a username. By default, your username will become your new Gmail account name. Once you have created your Google account, do a Google search for The Faris Team and add your review. Still having troubles? Give us a call @ 705.797.8485 and we'd be happy to help!